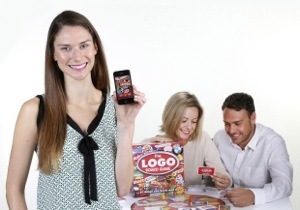 A few months ago I reviewed the popular family board game Logo What Am I well now game manufacturers Drumond Park have released a free app based on the original logo family game which is sure to prove just as popular. The app is free and available on iPhone and iPad with other versions on their way. 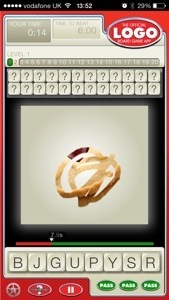 Each level contains 20 questions to be completed in a certain time to unlock more levels. 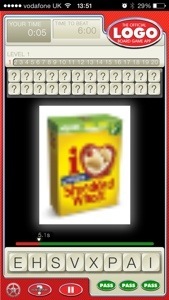 There are more than 1100 questions and hundreds of images. Each game contains a letter grid in which you pick out the letters to spell the word of what you think the logo is. I’m only on level one at the moment and finding it fun and fairly easy so far. I imagine the other levels will increase in difficulty. It is a fun free app that will keep me amused when I have nothing to do. Both children and adults are sure to enjoy this app game. We can’t offer you the app as a prize, because it’s free. 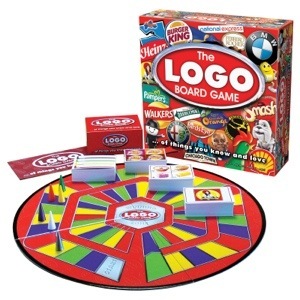 But here’s your chance to win the original – and still super-popular – – LOGO picture board game (age 8+, rrp £32.99. We have one copy to give away from Drumond Park if you would like to win this game then follow these steps. T&CS – competition will end on 30/10 and winner notified by email. Uk residents only and one entry per person. this is a brilliant way to promote more awareness of everyday things around our children, and ourselves! I follow by email, twitter – @wkdjojo and bloglovin. Played this at a party last year , loved it . Never got round to buying. I want to win this game as my daughter loves challenges word and guessing games plus its her birthday at Christmas so it would be great to win !! Board games can be great fun for the family. They are a wonderful gift. The LOGO Board Game seems great for encouraging the family to have fun, Whilst testing our knowledge and memory regarding logos. My dad reckons he knows everything about products that are in todays world and products that have been and gone so lwts see how good he is at this game. brilliant game id love to win this ideal for keeping all the family amused! FANTASTIC GAME, lots of ooh I know that but no answers! Oh we all love classic adverts, so having a game around classic brands is brilliant. Its a great idea to get young and old saying ‘oh oh don’t tell me, I seen that somewhere’ It looks superb. a brillent game a great way to spend some family time tighter. I’d like to win – I think it would be fun to play as a family. Would love to win this as a nice way to spend a rainy day in with the family! I’m following by email. I would love to win this game for my daughters’ upcoming birthday. We all love board games in our family ! It would be great to play at Christmas. I would like to win for the children so we could enjoy a game after dinner! I would love to win this as it would be a great game to play at Christmas. I’m following by email. I would love to win this as the evenings are drawing in and it would be cosy playing the game with all the kids of a night-time with hot chocolates. Because it looks like a great family game for Christmas. I would like to win as I think this would be a fun after dinner game round the family christmas table!! I’ve just started collecting board games and think this would be a great addition! I would love to win this! Fingers crossed. After years of heavy indoctrination into the world of commercialism through watching way too much TV I’d love to finally be able to put the rubbish I have remembered to good use and this game looks ideal for that. Oh and the family love board games, one I can win at would be nice!! Would have a good laugh playing this even though my kids describe me as Brand Blind!! I would love to play this game with my family, we would have such a laugh. We all have honed our skills playing those silly logo iPhone games too! Thanks for the comp. We are a bunch of gamers, mostly video games. However I love the good old banter of the Board Game. 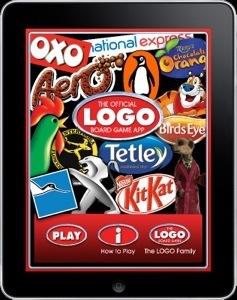 The Logo Game looks brilliant, a great way to test out knowledge of every day products. Everyone should be able to take part & so would be a great xmas game! Nostalgia and excitement all in one box – just made for Christmas Day!! Because there are many nights in with the family where we love to get a board game out and have a laugh. Me and my partner love the app games and got a bit obsessed with them. I would very much like to play it with my family . We always play games at Christmas and it is my favourite part of the day lots of giggles you remember forever. Hi, I follow you on Twitter (janesands1000) Facebook (Jane Sands) and via email! I would love this prize! I play a similar game on my mobile and I love it! To be able to play this as a board game with my friends and family would be fantastic! We love board games, but this one I don’t have and would love it! It would be well used and greatly received! Thank you for such a great competition! Followed and rt – pinned on pi interest . would love to play this with my boys because i am sick of getting thrashed on fifa 14 so think its time to thrash them on a proper game! Love a family games night. This looks like lots fun. Could have hours of fun. My son has already asked for this game for Christmas! I follow your blog via twitter. I would love to win this, as my daughter has actually asked for it for Christmas, it’s also a game the whole family can play, and it would be a great way to amuse ourselves during the festive period! I actually think I’d enjoy this game. My children ‘quite old enough, but their older cousins would love it I’m sure. Great family game for Christmas! Always love a board game, more so on dark evenings. This would be great for playing over the winter.